Travel opens up great opportunities to get out in the world, drink some new and interesting ciders and visit a few cidermakers in their home environments. 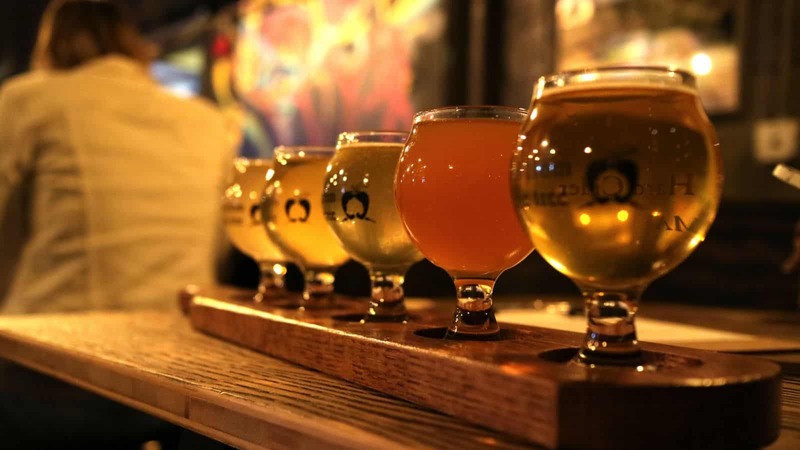 A popular travel destination, Boston is home to great cidermakers in the city as well as a handful more that are a short ride away. While you won’t find any cider orchards in Boston, there are still some fantastic ciders being produced that are well worth taking the time to enjoy. If you have an opportunity to get to Boston and visit these cidermakers, I highly recommend it. All the ciders we had while visiting were exceptional, each with its own sense of New England flavor. Picking a favorite from these would not be easy! This may come as a shock, but a longtime Boston area cidermaker is actually a brewery that’s been fermenting some very good ciders since 2007. Harpoon Brewery (306 Northern Ave., Boston) ciders are pretty easy to find, with styles including the flagship Harpoon Craft Cider, Pumpkin, Hibiscus, Cranberry and a refreshing Spring Cider that is a light golden color with a hint of citrus from the orange peel, spice from the coriander and a dry finish. The tasting room is definitely beer focused, but you can get ciders at the bar and cider growler fills to go. 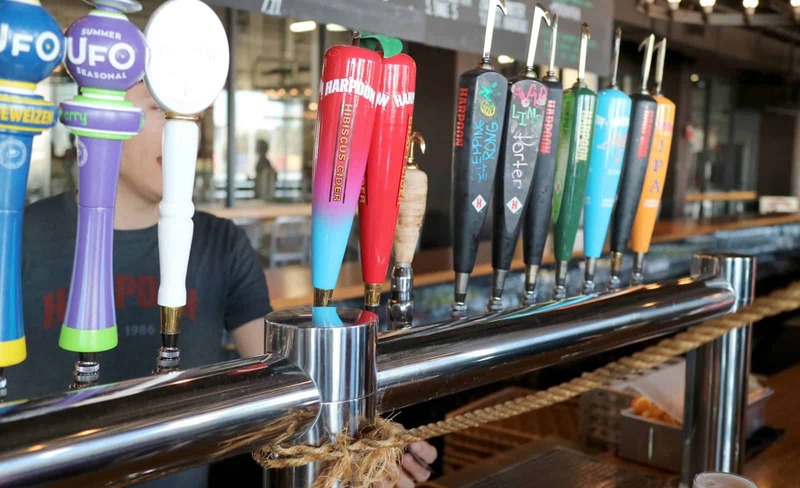 If you have time, book a quick brewery tour to see how the magic happens here in the Boston seaport district (and enjoy one of those delicious pretzels). Located in East Boston, Downeast Ciderhouse (256 Marginal St., Bldg. 32, East Boston) has been producing interesting cloudy ciders since 2011 when the founders graduated from college. Downeast boasts “handcrafted cider to remind us of the juice we grew up loving—real cider, local ingredients, no compromise.” When we stopped into the tasting room, Downeast had a few solid small pilot batch ciders on draft, including a Sour Cherry Cider, a Maple Coffee Cider, a Heaven Hill Bourbon Barrel Aged Cider and a new version of its cranberry cider that was delicious. 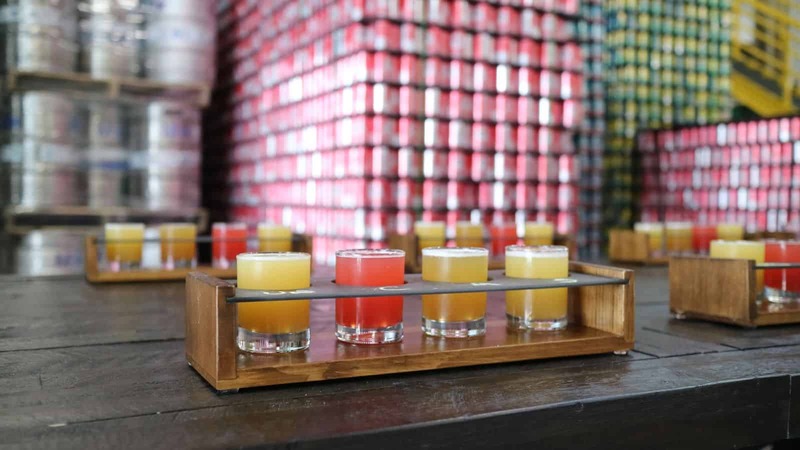 The tasting room offers free tastes and growler fills as well as canned ciders. The space is huge and everyone here is superfriendly. You can sign up for tours online before you go if you want to get a behind-the-scenes look. While it’s not actually in Boston, Bantam Cider (40 Merriam St., Somerville) is a short T ride north from anywhere in Boston to Somerville and pretty easy to get to by car. 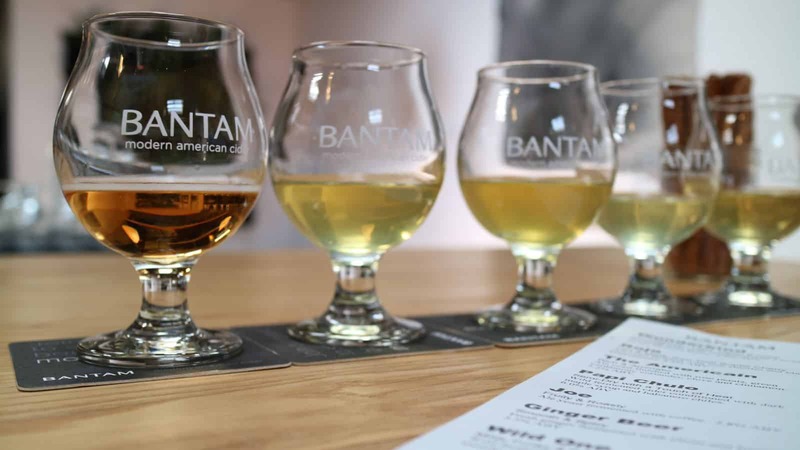 Bantam Cider was “inspired to do something special, to create a truly unique and modern line of products that would reshape the way people experience cider,” and that is what the company is doing here—making products that are delicious and unlike others you may have experienced. The tasting room is modern and sparse, and the ciders on draft when we visited were all refreshing and delicious. The smoked saison has tons of unique flavors and aromas and is worth seeking out. Rojo and Wunderkind are also consistently delicious. Less easily accessible by public transportation but worth checking out if you have a ride are a few cidermakers on the outskirts of Boston. Far From The Tree (108 Jackson St., Salem) produces some of my favorite wildly interesting New England ciders (like its Ecto cooler-inspired semi-sweet cider with green bell pepper, jalapeño and kiwi!) as well as more traditional ciders like its naturally sweet keeved cider, Chapeau Brun. Located in Everett, The Artifact Cider Project may be opening a tasting room in the future. We visited some of Artifact’s open house days when it was in Springfield and always had a great time (and amazing ciders). 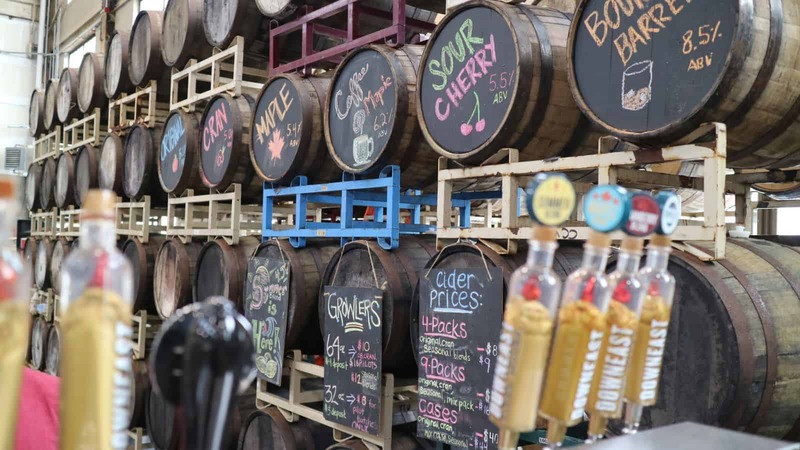 Another short ride from Boston, Lookout Farm Hard Cider (89 Pleasant St. S, Natick) has been “farming strong since 1651” and features a taproom that offers flights of cider, live music and great food options including cider donuts. Visitors can also enjoy cidery tours on Saturday and Sunday. Cider’s future looks bright in Boston. A few other cideries are planned for the Boston area, and I’ve even heard rumors of a Boston cider bar in the works. Stay tuned! What about Stormalong. Their cider is far and away better than most of those you listed.